iPhone X Stuck on "Swipe up to Upgrade" Screen, Here is Real Fix! Is your new iPhone fiddling with you amidst updating episode? Or does the white screen displays a 'Swipe up to upgrade', asks for your passcode but does not good? Ah, it's extremely fretting to experience uneventful circumstances of stuck issues. We understand it's not a cinch to keep up with its trivial issues that directly impacts on the working of your device. But, we can fix them down with a couple of ways. In this article, we will provide solutions to unwind the problem of iPhone X stuck on 'swipe up to upgrade'. So, stay tuned to unveil them! To pull your iPhone X stuck on 'swipe up to upgrade' issue, Tenorshare ReiBoot is the ultimate solution. Designed as an ultimate system recovery software, ReiBoot paves away the stuck issues and deals with the most irksome issues of black, frozen and stuck screens fabulously! Without worrying on any loss of data, you can fix the stubborn stuck issue with use. And, ReiBoot helps in entering or exiting Recovery mode in a flawless manner too. Now that you are acquainted with the whereabouts of ReiBoot, let's quickly understand how ReiBoot caters in solving 'iPhone X stuck on swipe up to upgrade' screen. Here we go. But do ensure to follow the steps in the right order! In order to get started, it's mandatory to force the installation of Tenorshare ReiBoot on your working PC/Mac. Once the main program gets prompted, simply click the 'Repair Operating System' tab for fixing stuck issue. You will enter to 'Repair Operating System' screen that will flash 'Start Repair' tab. Ensure to hit it without giving a second thought. Now, the screen will be directed to firmware package screen from where, you have to click on 'Download' tab and the program will automatically download the matching firmware. Past some moments, the download progress table will appear. Once the firmware is downloaded, just tap on 'Start Repair' to resolve down the stubborn iPhone stuck to 'swipe up to upgrade' screen. 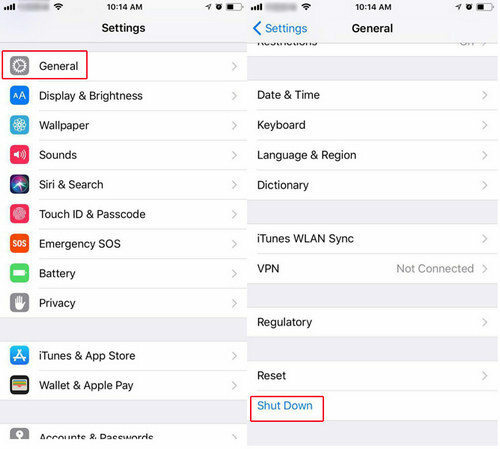 Here are some other couple ways of solving iPhone x stuck on swipe up to upgrade issue with these methods. Mind you, the methods should be executed in a right order. Forcing a restart on your iPhone X is one of the considerable ways of unrolling iPhone stuck on Swipe up to upgrade screen. Now, that 'Home Button' isn't available in recent iPhone's flagships, performing reboots have undergone a 360 change. Just make use of the steps mentioned below! Get hold of your iPhone and without wasting any time, press on 'Volume Up' button and release it. Go for the same process with 'Volume Down' button too. Now, hold side button or you can say 'Power' button for 8-10 seconds and release it when the display is totally shut off. Once your iPhone's screen is directed to Apple boot screen, loose your finger from the side button. This way you will be prompted to reboot screen that can assist in solving iPhone X stuck on swipe up to upgrade issue. If forcing a restart goes in vain then try your hand in restoring your iPhone X from iTunes Backup. We will now understand how to perform it. Ensure to use a pre-trusted iTunes computer and launch the latest version of it. Now, draw a connection via lightning cable with your iPhone and system. Once the program runs, simply click on the device icon featuring in iTunes. Then, proceed to tap on 'Summary' section followed by clicking 'Restore Backup'. 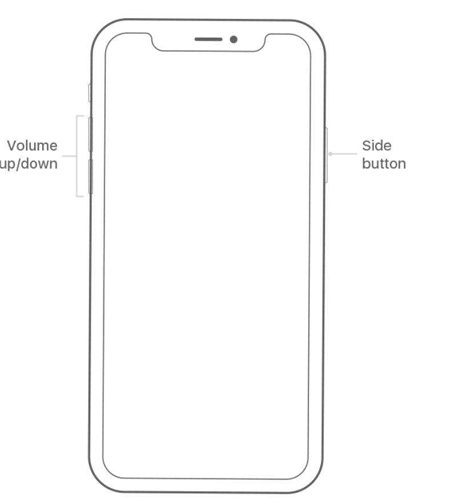 This way your iPhone X stuck at Swipe up to Upgrade Screen here may be fixed. Lastly, you can resort to restore your iPhone X with Recovery mode for speedily resolving iPhone X stuck swipe to upgrade issue. Follow down the steps mentioned below. Load iTunes on your pre-synced iTunes computer. Establish a connection between your iPhone and system via lightning cable. Now, press 'Volume Up' button and release it. Repeat the same with 'Volume Down' button. Hold down the power button until 'connect to iTunes' screen appears. ITunes will detect your iPhone now. Just click on 'OK' from the pop-up and select 'Restore' tab. By now, we hope you have understood various methods of resolving iPhone X stuck issue on swipe up to upgrade screen. We also saw, how time consuming and manual efforts have to be taken for recovering iPhone. But, with Tenorshare ReiBoot, your worries are lessened. 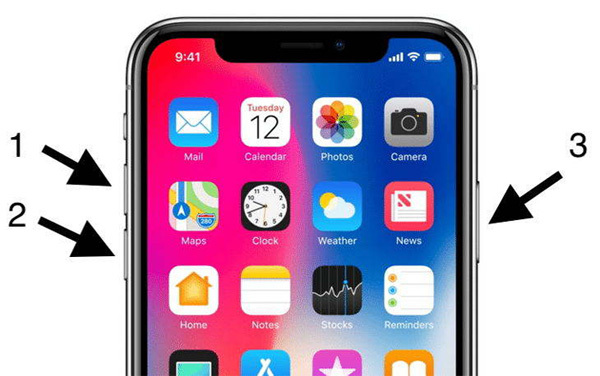 With its ultra-technology, you can resolve number of stuck issues, let alone iPhone X stuck on "swipe up to upgrade" screen, without fretting on data loss episode. Which one do you prefer? Type in comment section now!